St. Paul Garage Door Repair | The best garage door repair in St. Paul and across the Twin Cities metro. 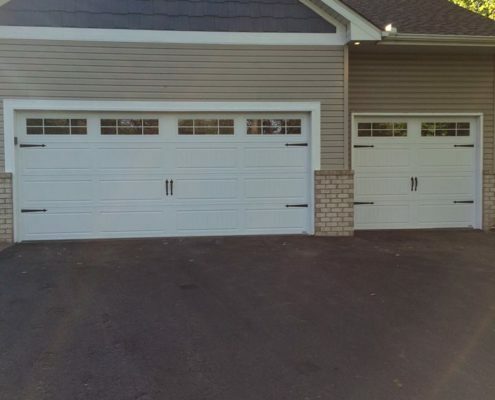 Professional Garage Door Repair & Installation In St. Paul That You Can Trust. The masterpiece that adds a facial value to your home’s look: Your garage door. Most of the times people tend to ignore a Garage Door once they get it installed & even forget that it needs servicing for smooth operation. And then after years of use, it happens, your garage door breaks! Sometimes you even get a repair service company booked & the guy turns up when you have no time. Sometimes your Garage Door breaks just when you are in hurry and you end up booking Uber as your car’s stuck inside!! That’s the moment we realize how important our Garage Doors really are. After all, it is a second main entrance to your lovely home. Not only this, it is also equally important from the security point of view to sealing your Garage Door. So what can you do about it, have no Garage Door? Unless you want to invite unwanted guests to your home! 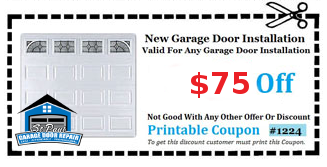 So if you are living in or around St.Paul, Minnesota & facing a Garage Door Problem, No worries!! We are there to help you as you need & when you need it! Be it regular service or a quick repair, spring issue or your cable is broke or you just hit the Garage Door with your car, we are there to help you on time every time! With years of experience, we completely understand your needs about the important, yet ignored Garage Door. We have categorized our services to exactly suit your requirements. We are there with you from the installation of the new Garage Door until your Garage Door needs parts to be replaced. Our installation & repair experts will do the job for you. Garage Door Repair – Whole garage door repair work or repairing of smaller parts including garage door opening remotes. Garage Door Installation – Full installation of the new Garage Door of any make & model, changing of separate panels, Replacement of Old Garage Doors. 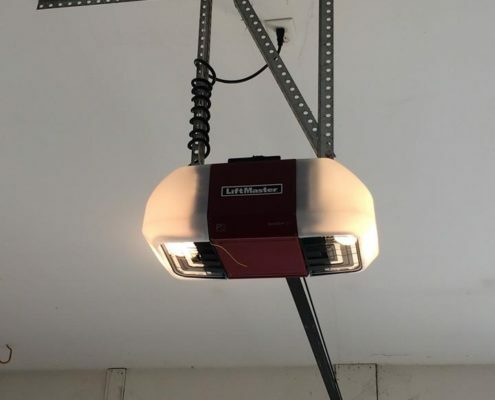 Garage Door Opener Repair – New types of Garage Doors have complex manufacturing which requires an expert attention, you can count on us at any time for this. Garage Door Opener Installation – We can handle it from the tear down of the old door to the installation & tuning of the new Garage Door. Commercial Garage Door Repair – We never opt out for subcontractors to have your work done. Our professional technicians handle your installations in a safe & sound manner. Commercial Garage Door Installation – Commercial Garage Door installation needs to to be handled very carefully. Keeping all the safety concerns in mind, using all the professional parts, heavy duty cables & electrical work required. With our highly trained technicians, we assure we are the best commercial door installation team in the St.Paul area. 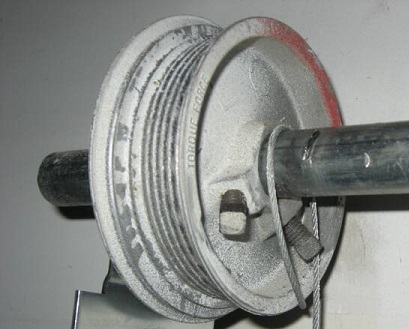 Garage Door Spring Repair – It is always advised to call on our expertise to repair your door springs as it is risky doing yourself. Garage Door Cable Repair – The cable breakage issues are to deal with immediately, our on time services are quite efficient so that you get your work done just in time. 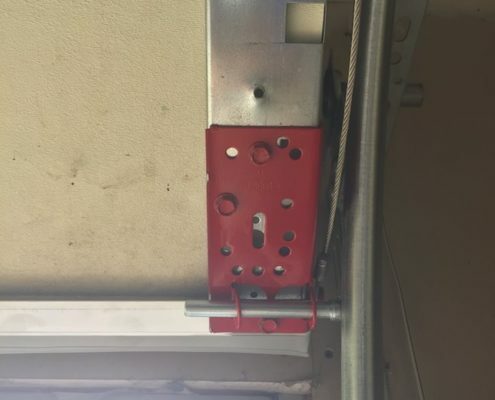 Garage Door Hinge & Roller Repair – While our regular servicing options keep your door healthy, we strongly recommend that you change your old & rusty hinges or rollers to stay away from the future issues. FREE Onsite Estimates – No worries about wondering what could a broken door cost you, we will tell you right away! Same Day Service – No more waiting for calls, no more rescheduling of your appointments, we will be at your doorstep the day you called us. Trustworthy service – We do not offload any of our services. The technicians are associated & employed directly by us. Highly Rated Service – We have been reviewed as the most trustworthy & highly recommended service in the St.Paul & nearby area. Need A New Garage Door Or Your Garage Door Needs To Be Repaired? 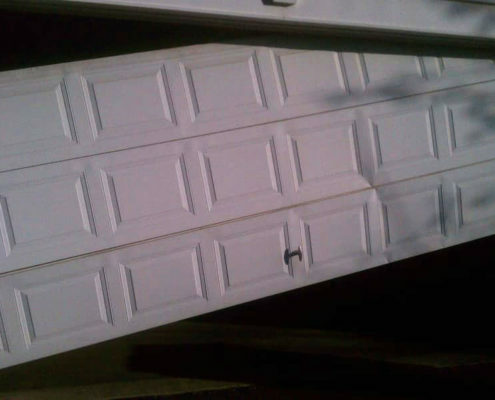 When your garage door breaks, it can come in all shapes and sizes. From garage door replacement, to garage door cable repair and spring repair. We can fix your garage door the same day if you live in the St. Paul area. 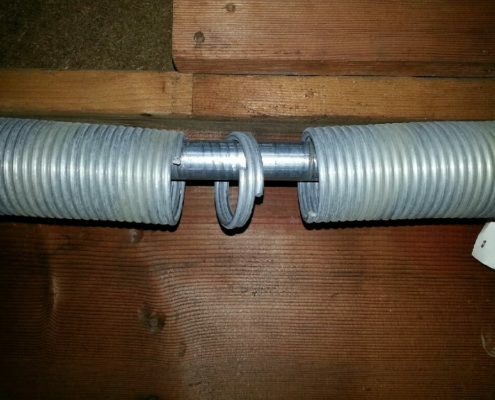 A garage door spring allows your garage door to weigh less, making your garage door easier to open and close with your garage door opener. When it breaks it must be replaced for your garage door to work again. Garage door cables help to give your garage door support that’s needed from the bottom. When they break, your garage door will look as if it’s about to fall off the track and it will needed to be fixed as soon as possible. A garage door opener can have a lot of problems with gears, electrical parts or even the remote. 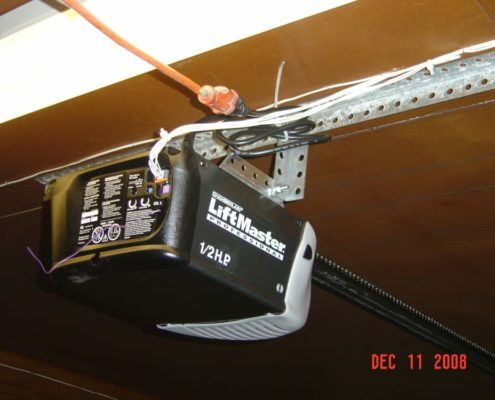 We can replace or repair any type of garage door opener that you may have. A commercial garage door is an important part to many businesses. If you have a commercial garage door that needs to be repaired or installed, we can fix any commercial garage door you may have. Your garage door hinges and rollers assist in the lowering and lifting of your garage door each day. After years of wear and tear they need to be replaced to ensure the garage door continues to function smoothly. Is your garage door old, damaged or are you looking for something different? We use a vast amount of different garage door providers so we can get you exactly what you are looking for as well as install it for you. 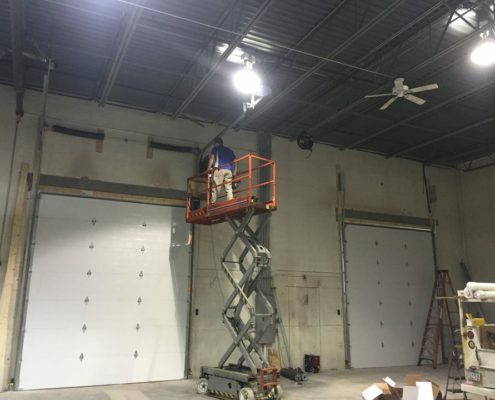 We can install all different types of Commercial Garage Doors in the St. Paul area. 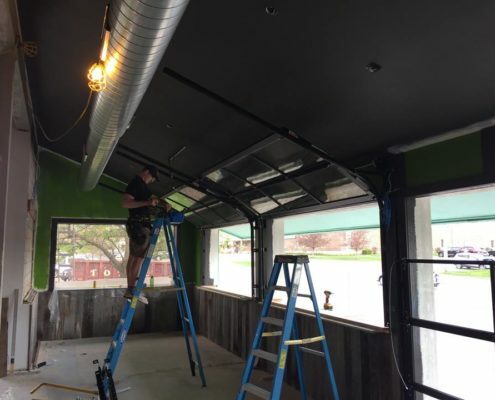 Whether you are looking for aluminum or steel garage doors we can find any commercial garage door you may need for your commercial garage door installation. Click The Coupon Below To Print Your Online Offer! We only use the best garage door parts and manufacturers for our projects. We make it easy for you to get same day service with your emergency garage door repair. We consistently have prices lower than our competition and enjoy doing great work at affordable rates. We will give you a FREE onsite estimate for your garage door repair or installation so you know exactly how much it will cost. Our technicians and our owners have over 40 years combined of experience, which makes it fast and effective for us to repair or install your garage door. Our customer service is top notch and we enjoy helping out each customer with any type of garage door service they may need.